When and how were you founded? We were founded in fall of 2016. Our group of founding organizers recognized a need for a higher level of play for female athletes in the Wenatchee Valley and surrounding areas. Does the club have any connections to an existing youth system? Our club has been working closely in partnership with Wenatchee United and OPS FC to create a solid soccer structure here in the Wenatchee Valley. 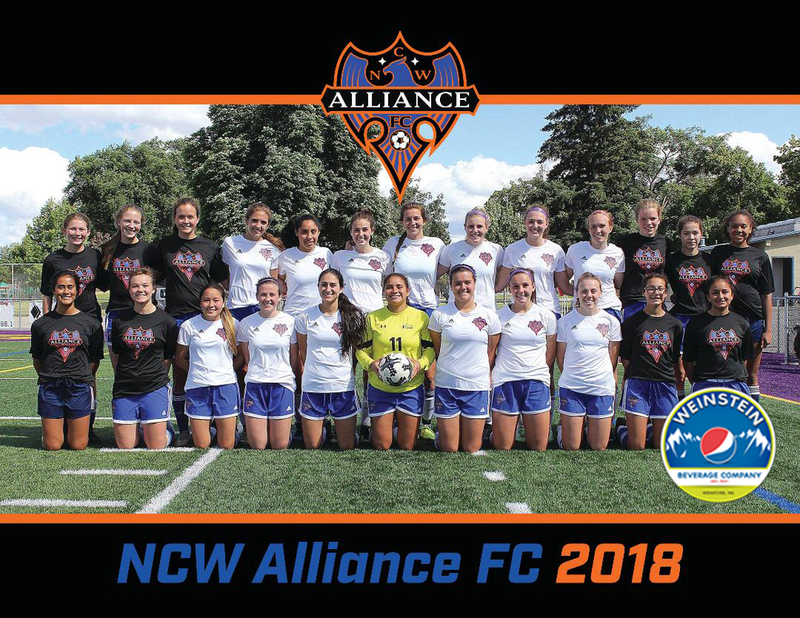 In 2018 we introduced our NCW Alliance Academy program. This program serves female youth players ages 15 -18 by providing a high level of training and college ball preparation. We were able to create this program by partnering with Wenatchee United and OPS FC. Some Academy players have the opportunity to play up on the Alliance first team during the NWPL season. What were the motivations behind the badge, mascot, and colors? The club colors of blue and orange came about because we wanted to merge the soccer roots of the valley into what we’re creating. We combined the colors of blue (representing Wenatchee United) and orange (the colors of the former Wenatchee Fire) to create an Alliance of each club in the valley coming together at the highest level; thus our logo, a rising phoenix, rising up into the sky with no limits. That is what motivated us on our colors and our logo. Are there any connections to, or inspirations drawn from, other clubs in the world? No, our inspiration came from our local youth clubs in the valley. The goals of our organization are to continue to provide a top level of competition for female athletes in our area and to continue to grow our academy program to create more opportunities for aspiring female youth players. We are also considering creating a men’s Alliance team in the future. Katie Michkiosky joined our team the year of our formation and has returned each year to make a significant contribution to the team. She was a former Wenatchee Fire youth player, played for Wenatchee High School, and played for Wenatchee Valley College. She is currently playing soccer for Northwest University. Katie is an example of what we are trying to accomplish by working with the youth clubs in the valley, the Alliance Academy program, and Wenatchee Valley College. Rivalries are always a good part of any sport. With us being new to the league we don’t have any strong rivalries yet but there does seem to be more excitement from our fans and players when we play Yakima United. They are our closest competition and I wouldn’t be surprised if the intensity grows when we play them in 2019. This could be a budding rivalry! Our local community is important to us but soccer is a place to escape the whirlwind of politics. It is a game that is packed with passion and we like to throw our passion into the game without diluting the love of the game with politics. We feel like we are a community team and are extremely thankful for our fans, players, and partners. We are very thankful to have a good working relationship with the local youth clubs, the high schools, and Wenatchee Valley College. We wouldn’t be where we are today without the support of our community.